Important notice concerning all those that own the 'old' style Mercedes-Benz Dartford playing shirts. 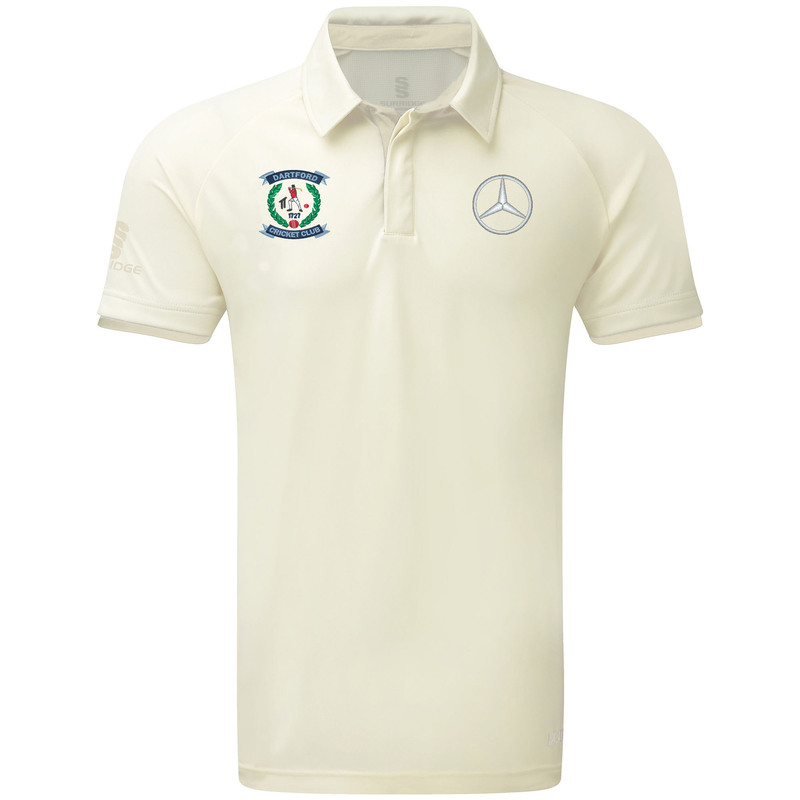 We have recently been advised by our seniors shirt sponsor, Mercedes-Benz Dartford, that due to changes in their branding style guide they are enforcing a full recall of all old style seniors playing shirts with the Mercedes-Benz Dartford logo. They are willing to replace all old style seniors shirts with the new style playing shirt free of charge. Please see the replacement shirts in the image on the right - these are the ones that some members have worn this season. As you may be aware, these shirts do come up as a slim-fit so we would advise going up a size or two from your current shirt. This change must begin to happen in the coming weeks so it would be appreciated if you could let us know asap your shirt details so we can get new shirts ordered from the notoriously slow NXT Sportswear.